Simply put, regular oilfield emulsions are droplets of water surrounded by a film of oil which lets the water “float” in the crude oil. Gravity is the only force that separates oil and water due to the weight difference of the two fluids. Our job is to speed up the process with the addition of chemical that penetrates the oil film and allows the water droplets to come together. Once the small droplets combine to form bigger droplets, the fluids begin to separate. Conditions such as retention time, type of crude, type of brine, solids content, and wax content are important factors in determining the correct emulsion breaker to use. Our service personnel are trained to determine the best treating products for your particular lease. 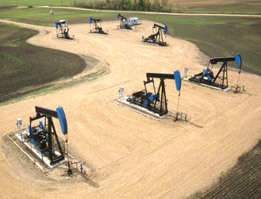 Product numbers may range from 3000 – 3999 and are all generally used by continuous application into crude oil flow lines. We carry 15 to 20 common products in our line, but have the capability to custom build a product for your specific problem. Whether you are a producer or a heat treating service company, we have products on which you can depend to get the job done right. Paraffin is a combination of heavy hydrocarbon ends that congeal and stick together and attach themselves to the pumps, rods, tubing and flowlines. 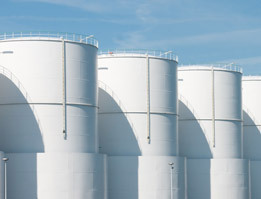 Paraffin can also accumulate in the crude handling vessels and tanks. Dillman Services specializes in carbon disulfide based paraffin solvents that are the most effective solvents that can be found. 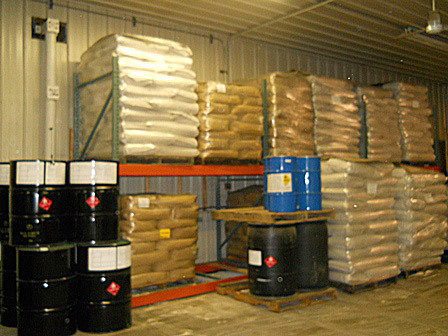 We also offer xylene and toluene based solvents for customers that do not wish to handle these more highly flammable products. We also carry a line of asphaltine/paraffin inhibitor compounds that are effective at holding precipitation levels to a minimum; and also paraffin dispersants which are effective at controlling paraffin deposits in tubulars and flowlines. Paraffin is not always an easy problem to solve. Please contact any Dillman Services representative to discuss which type of product, or mixture of products that may be right for your problem. Dillman Services has been a leader in the Illinois Basin for over 25 years in resolving paraffin problems. Scales form due to salts in the waters that become so numerous that they are no longer soluble. 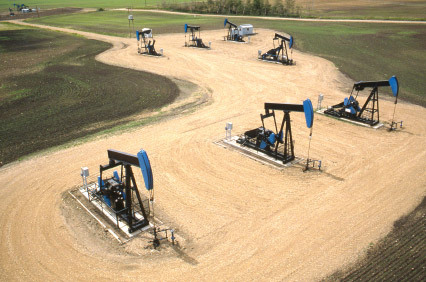 The mixing of incompatible waters, or different formation waters, can lead to major scale deposits in wells and in lines. Calcium carbonate, calcium sulfate, barium sulfate and different iron compounds are the most common types of deposits. Getting the right compound applied at the right application point is of utmost importance in controlling deposits. Dillman Services provides the field experience and dedicates the time and effort into making sure that your scale treating needs are being addressed properly. Even the best products are ineffective if not applied in the proper location. Our scale treating line ranges from products designed to dissolve deposits and/or to inhibit scale precipitation. We offer phosphate esters, phosphonates, and blends utilizing organic and mineral acids. These highly active compounds are effective at controlling all types of scale at low feed dosages. Corrosion is the destruction of metal and can be the most costly issue that a producer encounters. 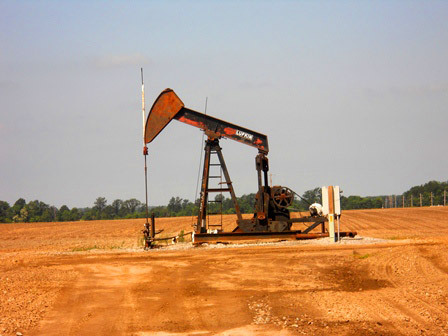 In most oilfield situations, corrosion occurs either due to dissolved hydrogen sulfide, dissolved carbon dioxide and/or dissolved oxygen present in the fluids. Severe corrosion can exist from any of these dissolved gases or combination of these gases. Oxygen can be the most damaging of these problems, but is also the easiest to correct. Most oxygen problems are due to mechanical issues that can be corrected by field personnel. Erosion and electrolysis are also forms of corrosion which are not correctible by chemical application. Dillman Services representatives are trained to recognize specific types of corrosion. They are available to inspect equipment as it is pulled from the well, and are trained to analyze your produced waters and recommend the proper product to reduce your well pulling. 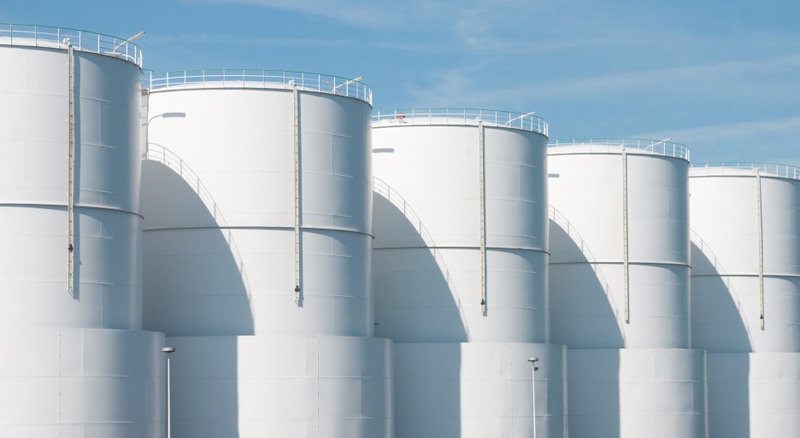 Dillman Services carries a diverse product line of both oil-soluble and water-soluble corrosion inhibitors for treatment of producing wells and water handling systems. Products are applied by either batch treatment or continuous application depending on the particular variables of your system. Dillman Services has been designing stimulation treatments for over 25 years to help you get either more fluid out of the ground or into the ground. By the very nature of the beast, wells plug off with solids at some time during their life. Although acid treatments may be your best option, chemical dump treatments are often very effective ways to stimulate your well without applying high fluid volumes and/or excessive pressures which may push the solids farther back into the well, or compromise old casing strings. 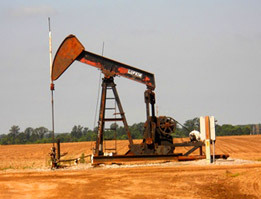 These treatments are generally for producing wells that suffer from accumulation of heavy paraffin, or injection systems that have pressure and rate problems. 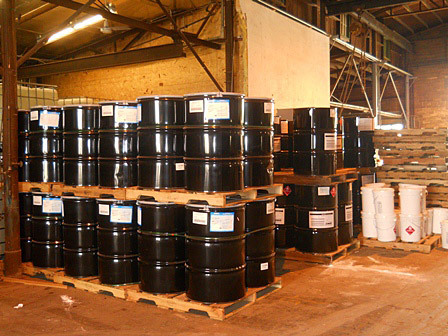 We offer products that can be used in both “dump” treatments or used in conjunction with your acid work to maximize your treating results. Contact any of our personnel to find out what we can offer to solve your injection or production problems. 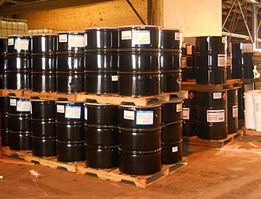 Dillman Services carries a complete line of additives for acid service companies and fracturing companies. 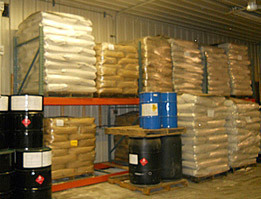 These products range from acid inhibitors, clay stabilizers, non-emulsifiers, iron control additives, mutual solvents, micellar solvents, paraffin control additives, surfactants, acid/solvent emulsifiers, KCl substitutes, frac gels, cross-linkers, enzyme breakers, and other specialty products for any of your stimulation fluid needs. Please contact Gary Dillman for any questions concerning these products and applications. Contact us today and see how Dillman Services can help!